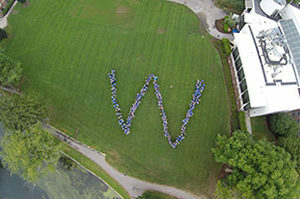 The Wheaton junior met with Assistant Professor of Museum Studies Leah Niederstadt to discuss her research progress. 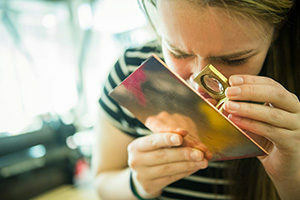 Moments of unexpected discovery (following copious research) are a hallmark of the “provenance project,” which Niederstadt has guided students through five times now, starting in 2013. During the first four iterations of the project, students explored objects in Wheaton’s Permanent Collection, developing a “provenance”—or history of ownership—for paintings, etchings, ceramics and more. 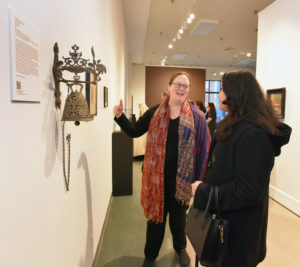 This fall, the research extended to artwork beyond campus, as “Introduction to Museum Studies” students helped the Attleboro Arts Museum investigate 17 pieces in its collection. 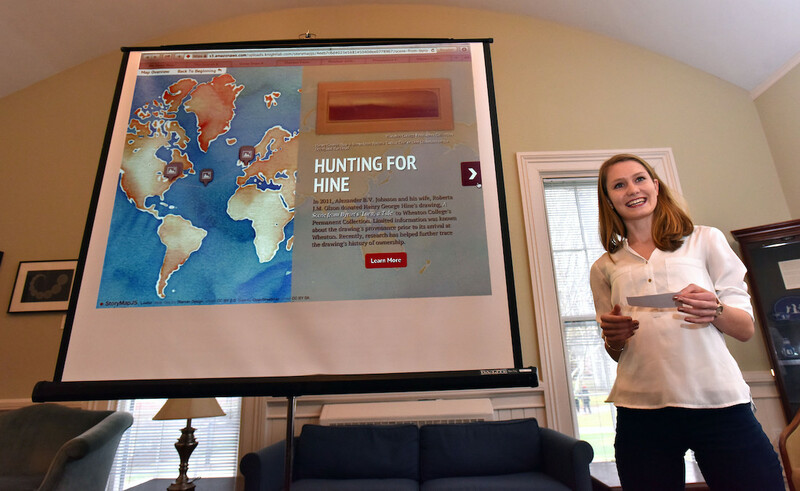 Emma Wynne ’18 presents her provenance research during the fall 2015 “Introduction to Museum Studies” course. The 17 objects Wheaton students researched are now on display at the museum, in an exhibition running February 10–23, titled “The Provenance Project.” Each item is accompanied by a label, written by the student who researched the object, with a scannable QR code that takes visitors to a digital StoryMap tracking its history and movement over time. 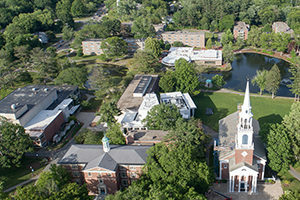 Each item from the Attleboro collection is also paired in the exhibition with a Wheaton object that was previously researched by a student, providing exposure to the college’s impressive collection, which features more than 7,000 objects. Among the items researched were an American flag with 13 stars, a Civil War first aid kit, an English monastery bell, an Indonesian shadow puppet and several paintings, prints and sketches—including a Matisse and a Rembrandt. 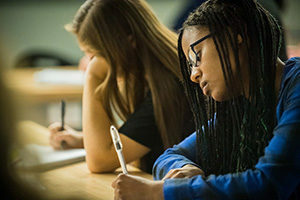 To uncover their histories, the students searched through genealogical websites, and library and archival resources; visited local cemeteries and the Attleboro Public Library; explored Google images and maps; and conducted interviews. Professor Leah Niederstadt talks with Alessandra Mistri ’18 at the gallery event. 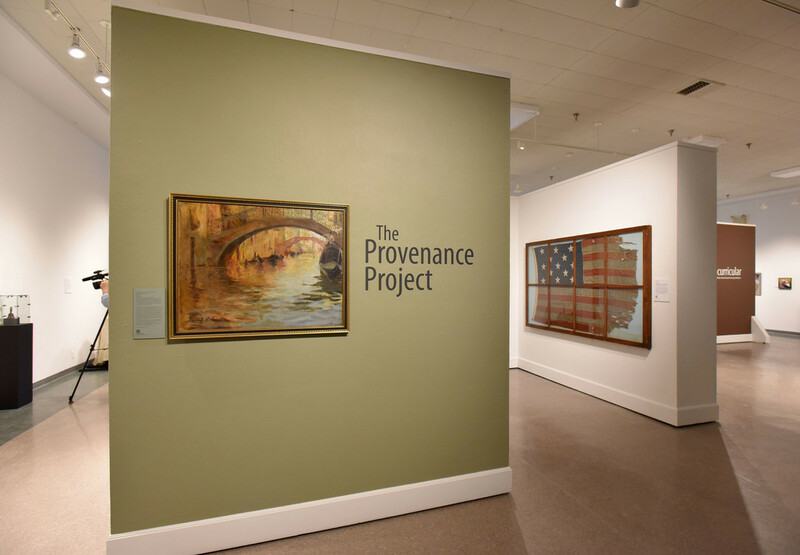 Mistri completed the provenance project in fall 2015. 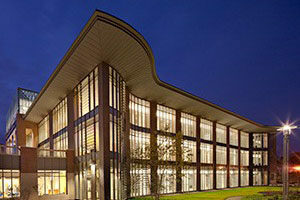 Provenance research can be exhausting, and it can be frustrating, Niederstadt said. Sometimes key information can be just out reach. 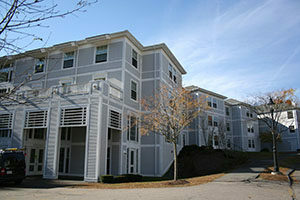 But students gain many skills during the investigation. Evan Provencher ’19, a double major in art history and film and new media studies, researched a paper-and-wood puppet held in the museum’s collection. Though he couldn’t develop a full provenance, he did collect important new information, learning that the puppet was used in the Indonesian wayang kulit storytelling tradition and was likely made in the late 19th century, and identifying the character it portrays. He also learned more about the puppet’s donor, Percy Callowhill, and his father, James, finding a possible explanation as to how the object ended up in Percy’s collection. 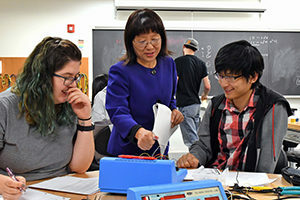 Provencher said the class offered valuable insight into future career options. “I am very interested in archiving and curatorial duties, so being able to get an in-depth look at the myriad tasks that museum professionals must carry out was a fantastic briefing for me on what to expect and how to plan for what lies ahead,” he said. 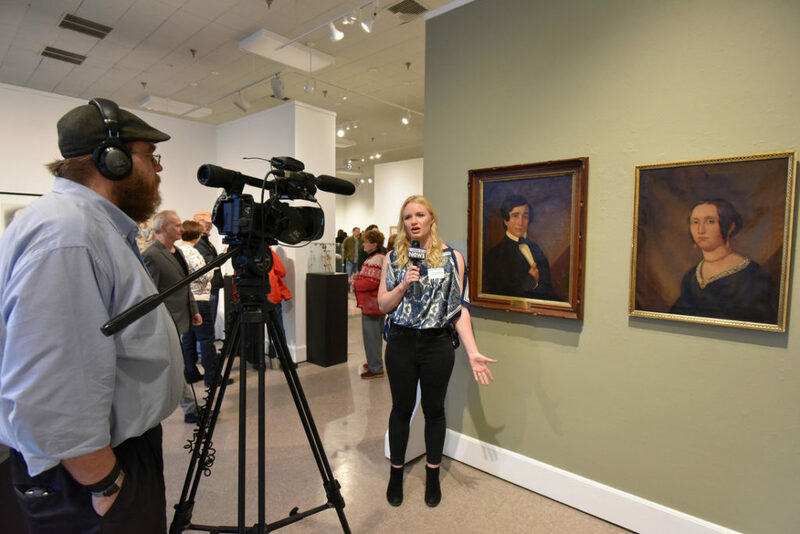 Emily Reynolds ’18 is interviewed about her provenance project by Attleboro local cable. Del Rosario also appreciated the course’s real-world focus. “Before I took ‘Introduction to Museum Studies,’ whenever I thought of a career in the museum world the title of curator was the only possibility that crossed my mind. Leah’s class really helped me learn about the various positions that don’t often get as much publicity but are just as important,” she said. Along with discovering the location depicted in Holman’s work, del Rosario proved that the painting was older than museum records showed, finding it listed at the 1893 World’s Columbian Exposition in Chicago, a full year before the creation date that the museum had on file. While researching an etching by Rembrandt titled “Abraham’s Sacrifice,” art history major Anne Tucker ’20 experienced both setbacks and serendipity. 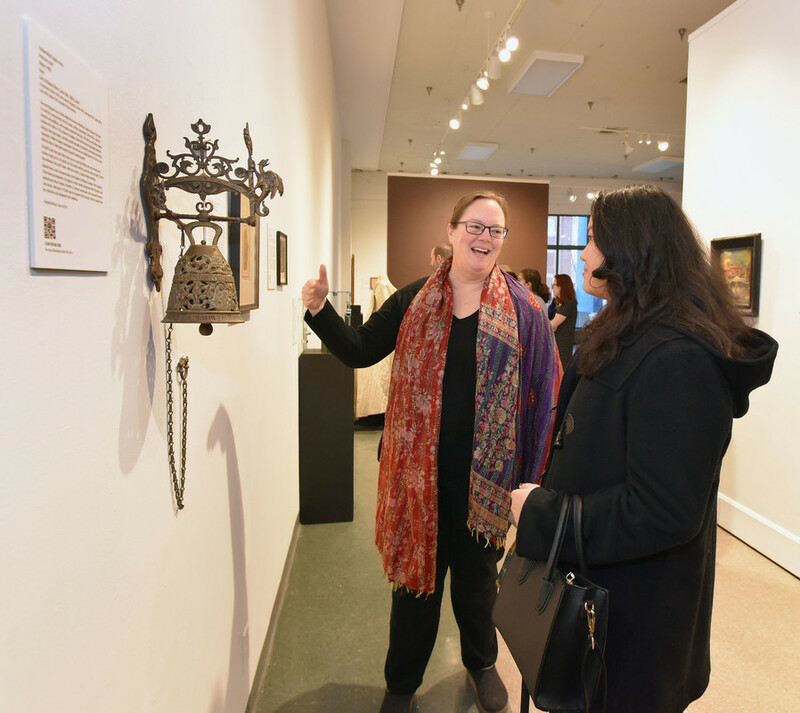 Niederstadt said she is constantly impressed by the details her students uncover during their provenance research, and that the Attleboro exhibition is a wonderful way to have that work recognized. 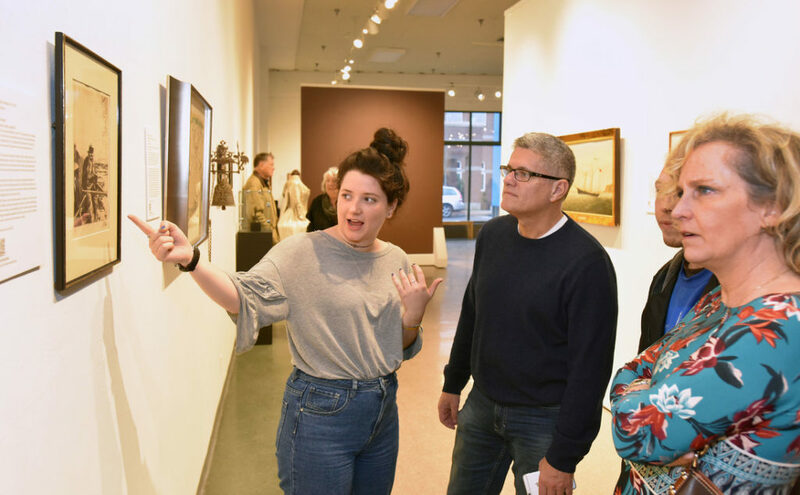 Mackenzie Lewia ’20, with her parents and boyfriend, explores the “Provenance Project” exhibition at the Attleboro Arts Museum. 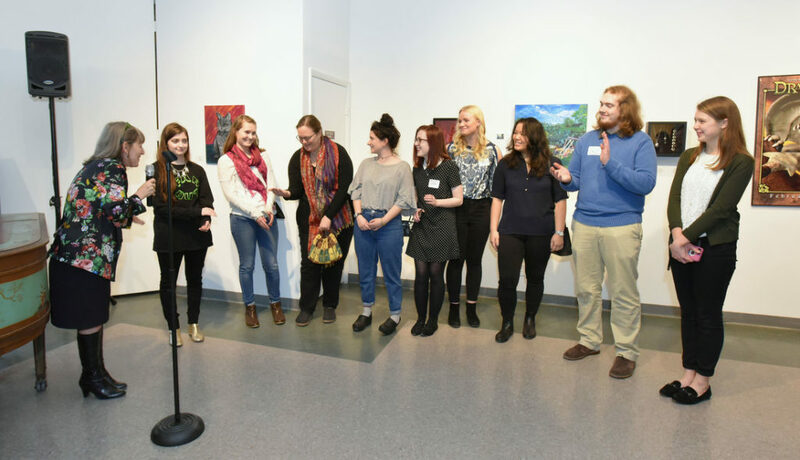 Museum director Mim Brooks Fawcett recognizes Professor Niederstadt and her students at the gallery opening. 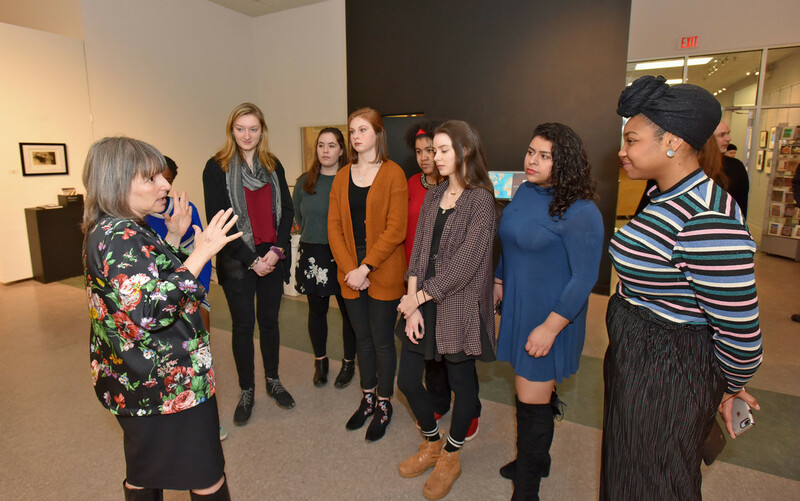 Attleboro Arts Museum director Mim Brooks Fawcett speaks with members of Wheaton’s Voices United to Jam, which performed at the exhibition opening on February 10.